A 73-year-old man has died after going overboard from a luxury cruise ship early Tuesday near Cape Flattery on coast of Washington State. A 73-year-old man has died after going overboard from a luxury cruise ship early Tuesday near Cape Flattery on the northwest tip of Washington State's Olympic peninsula. 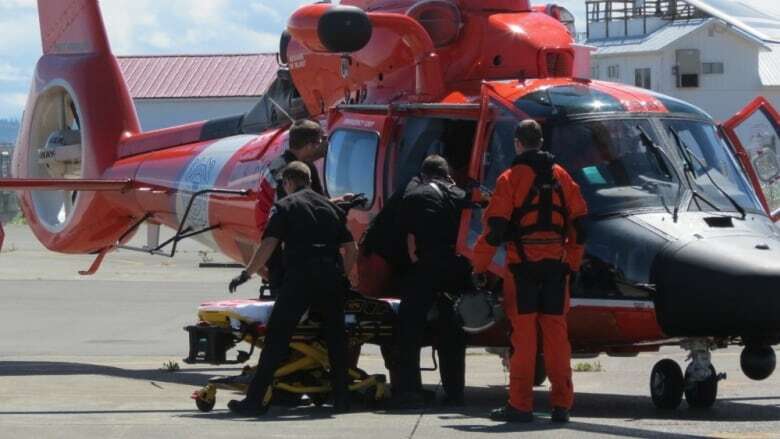 The U.S. Coast guard used several surface vessels and at least one aircraft to search for the man, who was travelling on an 11-day cruise to Alaska. Tuesday afternoon, they recovered him unresponsive from the water and transferred him to emergency workers waiting on shore. He was pronounced dead at Olympic Medical Centre. "Any time we are unable to accomplish our goal of saving lives, we are deeply saddened," said Coast Guard Capt. M.M. Balding in a statement. "We offer our deepest condolences to the family and friends of the victim." The man was reported missing by his wife at about 4:30 a.m. PT this morning, according to the coast guard. "She was woken by a breeze coming from the balcony door that was cracked open," said petty officer Ali Flockerzi. "We have no indication of why the individual went overboard," said the U.S. Coast Guard Pacific Northwest in a statement on twitter.